Adopted on July 13, 1990. State soil is not only a state symbol, it's also the focal point of an important resource for issues such as the conservation of soil and water, agricultural production, water quality and land management. The Crider soil series was named the best representative of Kentucky soil on July 13, 1990 because it was established in Kentucky and occurs on nearly a half-million acres in 35 counties. It's widely distributed in a state with diverse geology, and it's one of the state's most productive agricultural soils. The Crider series consists of very deep, well-drained moderately permeable soils on uplands. 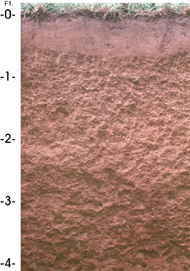 These soils were formed in a mantle of loess (a fine-grained silt or clay) and in the underlying limestone residuum. Slopes range from zero to 20 percent. The Crider series was established in Caldwell County, Kentucky, in 1957. It is named after a community in the county. 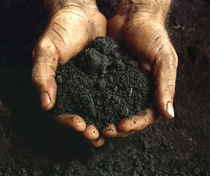 Many people assume that all soils are more or less alike. They're unaware that there are often great differences in soil properties within even short distances. For most uses, the ideal soil would be nearly level and easy to work. But most soils fall short of that. Many are shallow, stony, wet, dry, sandy or clayey, or have other adverse features. Some of these differences can be seen by almost anyone, but others only by those trained in the field of soil science. The Kentucky Association of Soil Classifiers was established to promote the use of soil information for many activities. Crider soils are typical in the Pennyroyal and outer Bluegrass regions of Kentucky. Soil is one of Kentucky's most important natural resources. Livestock, tobacco, grain, pasture, hay and timber are all marketable products derived either directly or indirectly from the soil. However, the value of our soil resources isn't limited to agricultural production. Soil is also used as a foundation for houses and factories, as building material for roads and dams, as a storage area and filter for groundwater and as a disposal area for waste. Even our state tree and state flower need soil to grow. 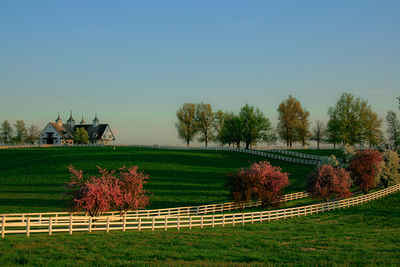 The Crider soils are extensive, making up about 500,000 acres in Kentucky and occurring in 35 counties in the state. Most areas are used for crops or pasture. Corn, small grain, soybeans, tobacco, and hay are the main crops. Crider soils are highly productive. Many acres of these soils are prime farmland. The Crider series consists of very deep, well drained, moderately permeable soils on uplands. They formed in a mantle of loess and the underlying limestone residuum. Slopes range from 0 to 20 percent. The average annual precipitation is about 48 inches, and the average annual temperature is about 57 degrees F.
The law designating the Crider soil series as the official Kentucky state soil is found in the Kentucky Revised Statutes, Title 1, Chapter 2, Section 2.093. 2.093 State soil. The Crider soil series is named and designated as the state soil. 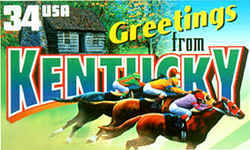 Effective: July 13, 1990 History: Created 1990 Ky. Acts ch. 115, sec. 1, effective July 13, 1990.